You don’t need to be a farmer or own a farm to grow your own food. 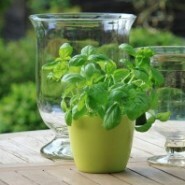 Herbs and vegetables can be grown anywhere, indoors or out! Here are 5 healthy edible plants you could easily grow indoors. Nutritional Value of Carrots: Carrots are full of vitamins and minerals including folate, thiamin, niacin, manganese, potassium, and vitamins A, B6, C, and K. Additionally carotenoids found in carrots are excellent for eye health. How to grow: You could easily grow carrots in a pot or window box that is at least a foot long and foot and a half deep and wide. Fill your pot with potting soil mix. You will need holes at the bottom for drainage. Water the pot and plant carrot seeds by pressing them into the soil, one inch apart in rows. Place your containers in a place where they can receive plenty of sunlight. Keep the soil moist but not soaked. Seeds will start to sprout in about two weeks. How to harvest: Harvest carrots when you see ¾ of an inch of carrot above the ground, just below the green stem. They will lose sweetness and flavor if you let them grow too big. Nutritional Value of Lemon: Lemons are packed with vitamin C and antioxidants that help reduce risk of heart disease, boost your immune system, and help fight certain types of cancer. How to grow: The best way to grow lemon trees indoors is to purchase dwarf trees from a nursery. Purchase a large planting pot because your lemon tree, although a dwarf variety, can grow quite large. Lemon grows best with potting soil that has been formulated specifically for citrus plants. You may also choose slightly acidic loam-based potting mix. Lemon plants need plenty of sunlight, so place them in an area where they can receive at least 12 hours of sunlight daily. Water your plants regularly and keep them drained. 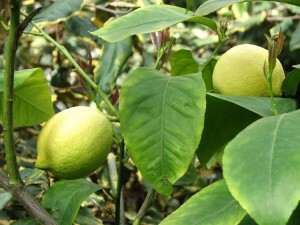 Harvesting: Most lemons will be ready for harvesting within six months. Squeeze the rind to see if they are ripe. Nutritional Value of salad greens: Salad greens such as iceberg, spinach, romaine, red leaf, and arugula are full of antioxidants, and Vitamin A, C, K, folate, and iron. These ingredients are essential for building a healthy body. Growing instructions: You can either purchase young plants from your local nursery or you may sow some seeds for salad greens. They grow very well when proper care is given. Choose a container with holes for drainage and potting soil mix for best results. For seeds: Make shallow holes in your soil, four inches apart, with your finger and sprinkle seeds in them. Pat soil back over the holes. For starter plants: Place a plant in each hole and fill in the holes with soil around the plants; water soil after planting. Harvesting: When your leaves grow to a harvest size, snap off the largest exterior leaves without disturbing the roots and they will continue to grow. Nutritional Value of microgreens: Microgreens are seedlings of herbs and vegetables. They are full of nutrients, and good source of source of vitamins A, C, K, and folate. Despite their small appearance they have more nutrients than their full-grown counterparts. Growing instructions: You can grow a variety of microgreens such as radishes, kale, Swiss chard, beets, basil, and dill. You need a 2 inch deep shallow tray, or a shallow pot, and fill it with soil mix. Sprinkle seeds over moist soil. Cover your seeds with a thin layer of topsoil. Use a spray bottle and lightly mist the soil. You can place the tray anywhere, where you get plenty of sunlight, such as your kitchen windowsill, or your deck. Harvesting: Expect your seedlings to grow 2 inches tall within two weeks. You can clip off the harvest size microgreens with a pair of scissors and let them grow back again. Nutritional value: Tomatoes contain lycopene, which has anti-inflammatory and antioxidant properties. They also have a wide range of vitamins and minerals such as vitamin A, C, E, K, fiber, biotin, and potassium. Growing instructions: Get a pot that is six inches wide and approximately a foot deep for one plant or 12 inch pots for two plants. Get longer rectangular containers if you wish to plant multiple tomato plants. You can start one or two plants from seed every two weeks to have continuous supply of tomatoes at home. Fill your containers up with high quality potting soil. Harvesting: Tomatoes grown indoors will not be as large the ones grown outdoors. They will still be tasty, firm and full of flavor when red and ripe. Twist them off or clip them when ready for eating. All these plants mentioned here need plenty of sunlight, so make sure to place them in a sunny area. Also remember to water regularly. Purchase high quality potting soil or soil mix and use organic fertilizers for best results. Remember to keep your plants well drained. Stagnant water can do more damage to your plants then anything. Make sure your containers have holes in the bottom. 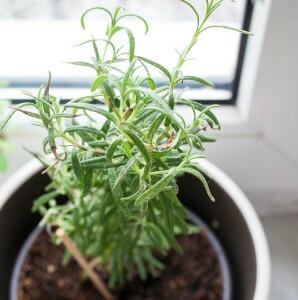 Place a drainage container under your pot so that the water will not damage your floor or windowsill. 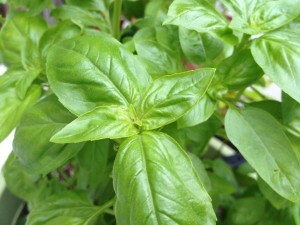 Hope you will enjoy growing these healthy plants indoors with the tips given here. Please let us know how well these plants are doing. Please don’t hesitate to post your questions and comments in the comment box below. We would appreciate your feedback and comment on our Facebook page as well. For more information please click here to book a meeting with us or leave a comment in the comment box below, or call us at 303-495-3705.